The May St Dental Centre team takes a conservative approach to dentistry, which means we preserve your existing teeth whenever possible. One solution that can save a tooth from extraction is root canal therapy. Though in years past, it was thought to be a serious procedure, today’s techniques have made significant improvements. Inside of the tooth, the pulp and nerve are housed in the root canal. When an infection sets in, the tooth feels painful and sensitive. Additionally, the infection can spread, compromising other teeth and parts of the mouth. Root canal therapy is the most effective treatment available. Once we have determined that a root canal is the most appropriate way to restore your oral health, we’ll administer anaesthetic that leaves you numb. We won’t begin treatment until you are ready. Then, a miniscule hole is made in the tooth so that the infected area can be cleaned out. If necessary, an antibiotic can be placed in the tooth that will prevent further infection. The next step is to have the tooth filled and a crown placed on the tooth. 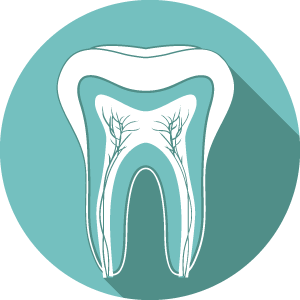 After an infection, your tooth loses some of its structure, and the crown will restore its strength and durability. You’ll be able to eat without worrying about breakage. The techniques used to perform root canals have advanced considerably, making this routine procedure no more uncomfortable or inconvenient than a filling. Many people who need a root canal are currently in pain, and a root canal will help to relieve your pain and save your tooth. After your procedure, you may experience some swelling and discomfort, but this will soon go away as you heal. If you’re unsure whether you need root canal therapy East Fremantle, contact our team today! We’ll discuss your concerns and make our best recommendations. Your health fund may be used for your visit.